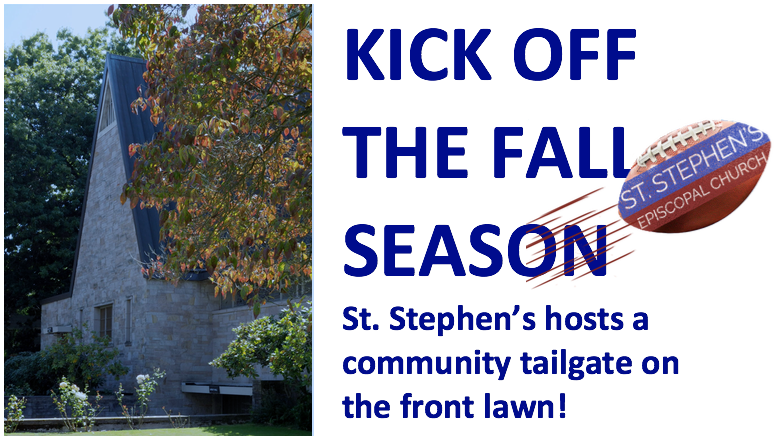 On Sunday, St. Stephen's Episcopal Church (4805 NE 45th Street) is kicking off the fall season with a tailgate on the front lawn. The day begins with worship services at 8 and 10:30am with “Episcopal Trivia” in between services. 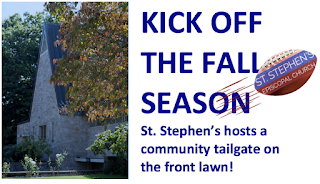 Following the 10:30 service, St. Stephen’s will host a free outdoor tailgate party till 2pm. with food and fun for all ages (and beverages, including beer). Dress up in your favorite team's gear for a chance at one of the door prizes. Enjoy games, a donut wall, a church tour, and much more. Come to a service, stay for the tailgate. Invite your friends, your family, your neighbors. It's free!